Come and enjoy a peaceful weekend away from hustle and bustle of the city. 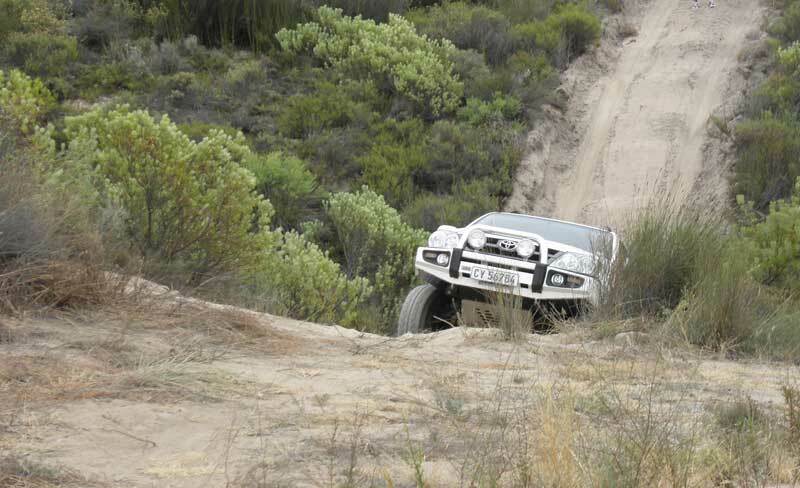 Bring your 4x4 and let it do what it was designed to, on our 4x4 trails. There is one for the adventours and one for the "not so brave", both have beautiful scenic views of the Swartland, Sandveld & Cederberge. The camp site offers place for tents and caravans, where you can relax on the lawns and take in the peaceful surroundings. 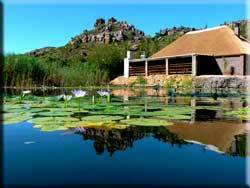 Take a hike and discover the original bushman’s drawings on the farm, while getting back to nature. 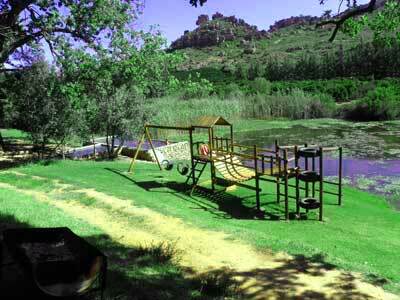 For those who still need the creature comforts of home, you can hire our self catering cottage. Our lappa is perfect for small conferences and functions, setting up to 100 people. All you need is a tent, sleeping bags, some food, first aid kit, batteries, and other essentials to enjoy your outdoor adventures. 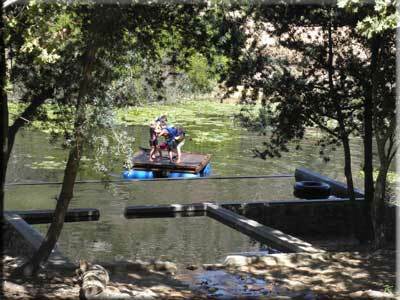 Finding a camping sites is not a problem, since we have 50 sites to choose from. Each gives a relaxing and tranquil atmosphere, which will let you enjoy what nature has to offer. And when it comes to basic facilities, there should be no problem because everything that you would possibly need during your stay will surely be provided. 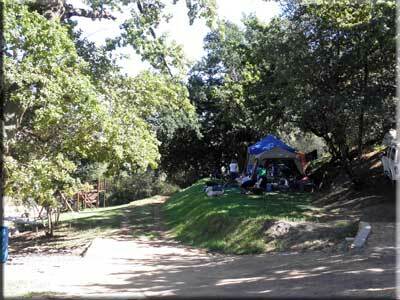 There are 50 sites, all on grass and mostly in the shadow of old oak trees. Some of the sites have a degree of privacy (you need to book early) while others are laid out for larger groups wanting to enjoy each others company. A calm and peaceful atmosphere is created by the small stream which flows through the campsite, also the lack of cell phone reception helps! The sites are suitable for caravans, tents and 4x4 trailers, each equipped with an electric point. 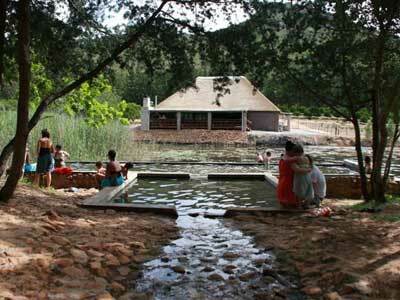 For the hot summer days, you can enjoy a dip in the swimming pool filled with cold mountain spring water or a swim in the dam. The Hiking Trail, which is marked out by arrows, is a circle route (about 1½ hours) from the campsite. On the trail, nature and hiking lovers will be impressed with the rock formations and beautiful views of the valley.